Handprinted Fox Babygrow. A brightly coloured funky animal unisex babygrow in a heather marl. 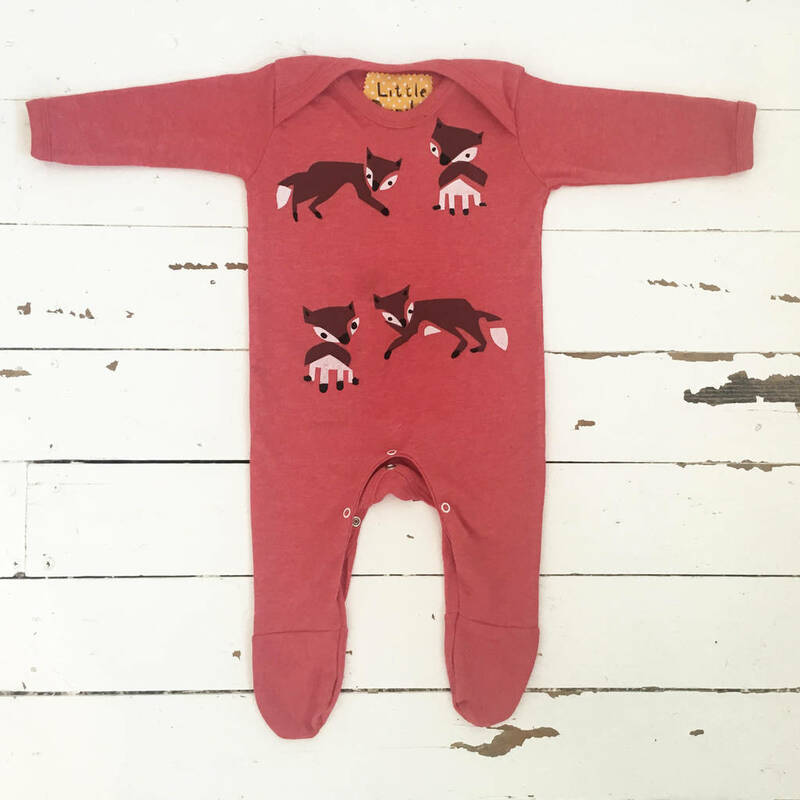 This animal babygrow features a handprinted chocolate and white fox in a green hat, with a small cheeky green hat printed on the back at the bottom. 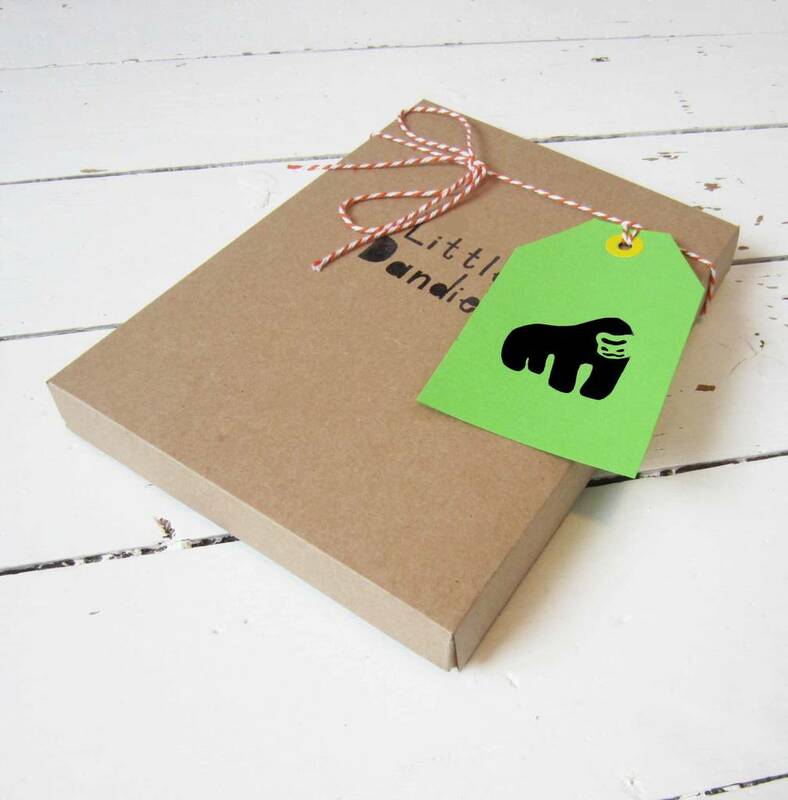 A great unisex baby present. 'Little Dandies' babygrows are a really fun and unique newborn baby present. We have a wide range of animal print babygrows in funky bright colours and personalised options, please see sellers 'complete range' on the right. All our funky colourful babygrows are hand-printed by us and made in the UK, every one is unique and special. A really special christmas present. Love this design? We also have the same designs and more in animal printed cushions, t shirts and sweatshirts.